"The more I live this life the more I realize and appreciate God's love for me. I have been priviledged as an Apostle called and chosen by God to share in the transformation of others lives. God thank you for choosing me to fulfill your will. 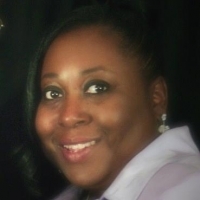 - Apostle Donna Smalls"
Apostle Donna is the CEO of HARD Services CDC, Inc which is a non-profit organization that provides direct services to my community. Which in the past operated as a free afterschool program for disenfranchised children in Radcliff, KY. She is Bejio Sales Consultant and she loves to shop. Apostle Donna also has started her own custom jewelry making company called SHY Legacy jewels. Her greatest passions are God, her husband, and her family. She is a grandmother and currently has 5 beautiful granddaughters: Diamond, Marciana, Colleen, Teonna, and Gloriana; and 2 handsome grandsons David and Carl III (who has gone on to be with the Lord). She has been married to her true soulmate for 31 years and counting. She served 6 years in theUnited States Army from 77-84, and was honorably discharged. She has an associate's degree from Elizabethtown Community College, she has her BA in Organizational Leadership w/ a minor in psychology, and she also has obtained her Master's of Science in Leadership.